So, this new Reese chocolate peanut butter spread from Hershey’s Canada? A little bit too tasty I must say. As in, those two giant jars they sent me to test out this recipe? All gone. I probably didn’t need to test it so many times. I mean, the second batch was amazing. But I had to get it perfect so I think I made 5 batches of these things. Nobody needs five batches of peanut butter and salted caramel brownies calling their name from the freezer. Nobody. So I sent most of them to work with my husband, because seriously, brownies are way too dangerous to have in the house. I can’t forget about their existence when they’re around. Just can’t. Too tasty. None of them came home I might add, so I guess I’m not alone in that assessment! These may just be some of the best brownies I have ever made. And that’s saying a lot because I’ve made my fair share of brownies. One of my favourite treats in all the land. But these? These are incredible. And if you can get your hands on some of this Reese’s chocolate peanut butter spread, you most definitely have to try them. If you don’t just eat it all with a spoon, that is. This stuff is basically a peanut butter cup in a jar. And it’s fantastic in these peanut butter and salted caramel brownies. So, so good, plus they’re super easy to make. You can use store bought or homemade salted caramel sauce, but I’d highly recommend making it if you have 10-15 minutes. It’s easy to make and you can put the rest in the fridge or even the freezer to use for something else. And then make brownies. You will not regret it. And if you do – have one and give the rest away! 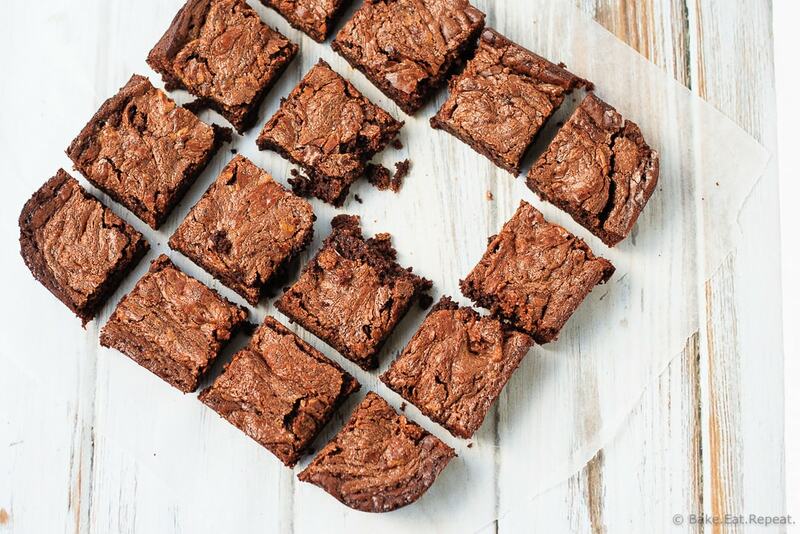 That’s never a bad plan – people love brownies. Disclaimer: This post was sponsored by Hershey’s Canada, and I have been compensated for my time and provided with product for recipe testing purposes. As always, all opinions are my own. I tried this recipe and I must say I ended up with the best brownies ever. I added some milk chocolate pieces in it. You made them with such precision. They look absolutely delicious and full of so much goodness! Daaaang, girl! If this isn't a brownie made in complete brownie heaven, I don't even know what is! Totally freaking out over how ultra-fudgy these look! 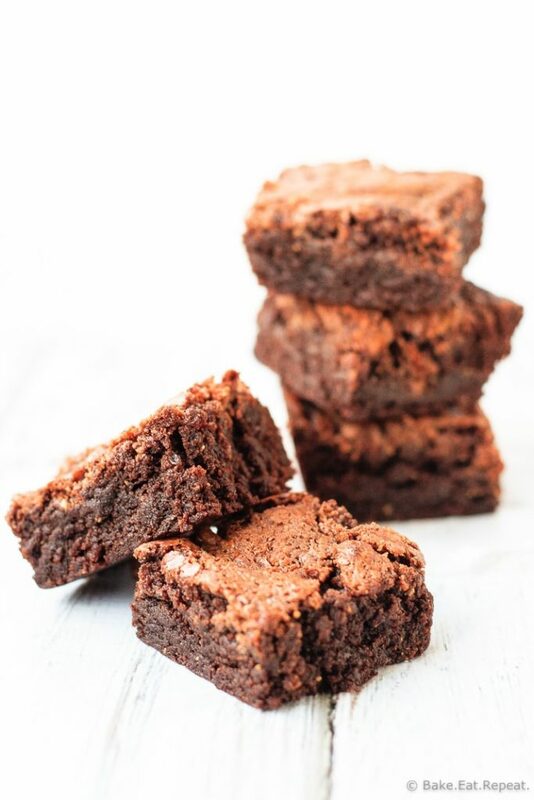 Let's be honest - every brownie is dessert made in heaven! :) Thanks Sarah! These brownies look incredible ! Great combination! Pinned of course! Peanut butter and salted caramel is a dangerous combination in the best possible way. :) Can't wait to try! Isn't it?! Can't go wrong with that combo! Thanks Kristyn! Yeah, it's a problem - I swear I need to run more just to be able to keep blogging! :) Thanks Mariah! Mine too! So good, especially together! Thanks Rachel! I love everything peanut butter too - it's always a good idea! :) Thanks Jessica! 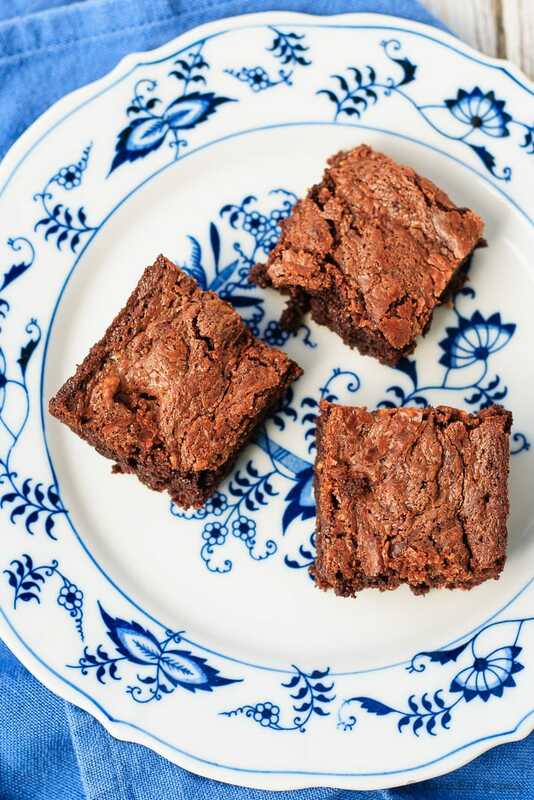 If you ever have too many pb brownies around, you know where to send them, Stacey! This is my favoritest flavor ever. You totally rocked these! Thanks Mir! There's usually takers for things like brownies - they didn't take too long to disappear! Um, peanut butter, caramel and chocolate?! I have died and gone to heaven! Umm, these might be the best brownies I've ever seen. Peanut butter and salted caramel?! You're killing me! Your recipe is amazing! Definitely worth to bookmark. My mouth is watering just looking at the pictures, LOL. Great job! Oh my goodness, this is the best combination ever! LOVE chocolate + peanut butter + caramel! And I agree, sometimes I just eat the stuff with a spoon.... Lol. SO good! It's hard not too, it's SO good! :) Thanks Ashley! Peanut butter and salted caramel sound like the best combo! Love that you used the Reese's chocolate peanut butter spread! 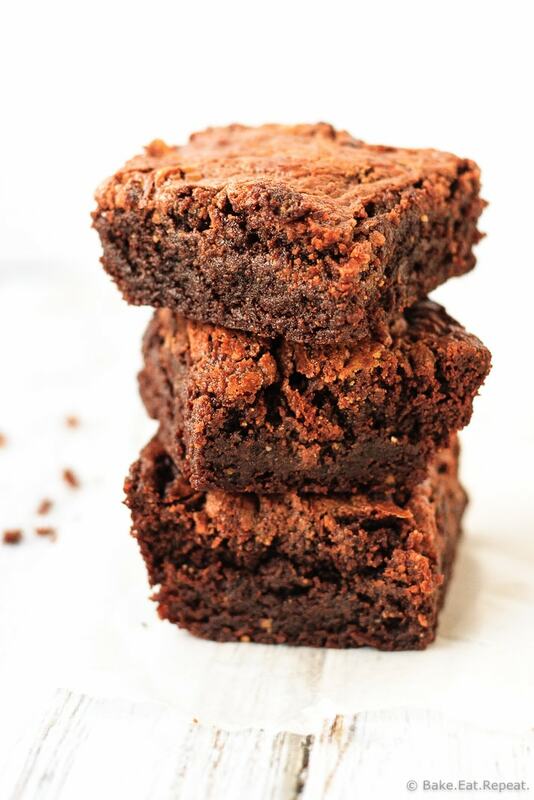 These brownies look amazing and totally irresistible! I would have to send them away too because they would be gone in no time at our house! Stuff like this is just too dangerous to keep around right?! :) Thanks Kelly! I am seriously addicted to that Reese's spread! Ever since it came out, I've been buying jars and just devouring it with a spoon! So needless to say, I don't buy it too often anymore! :) These brownies look amazing, Stacey! And your pictures are just gorgeous! I would definitely buy the Reese's spread just for these cuties! Peanut butter AND salted caramel?!?! Amazing. Yum...I'll take a stack of these with my breakfast. I love anything with chocolate, but add salted caramel...watch out! YUM!!!! These sound and look AMAZING! Mmm such wonderful flavors! Salted caramel is my weakness!! Definitely dangerous! :) But then, most brownies are in my experience! Thanks Medha! You had me at salted caramel! Brownies and caramel are one of my favorite combos ever. Top this with some Reese's pieces and I'm in heaven! It doesn't get much better than peanut butter and salted caramel, especially when they're together in a brownie! Right? Can't go wrong with those two flavours, especially when brownies are involved! Thanks Jessica! I am totally loving all of these flavors! Sounds good! And yes, peanut butter and salted caramel WERE fantastic together! Thanks Jen!